Vacation just steps away from Kaanapali Beach at *Aston Kaanapali Shores. * Only minutes away from 4 championship golf courses and a variety of shopping, restaurants and more. Discover more about this resort, visit www.astonkaanapalishoresresort.com. Escape to your tropical paradise each year in the floating week of your choice! 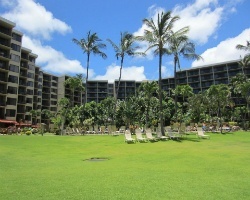 Stunning Hawaiian resort with lots to offer! Make an offer today!